A good call centre is one you can trust to look after your customer service and even take bookings on your behalf in the certain knowledge that they will receive personal yet professional attention. We are proud of our clients who entrust us with their basic but all so important telephone answering services. Recent additions to our lengthy list of information and booking line clients include TOMY, John Fowler Holiday Parks and Thermae Bath Spa. We always start with familiarisation visits by our staff as part of initial training. Specific information and details of any up selling are available to operators on screen when live telephone answering. Data is captured as required under the rules of the Data Protection Act. 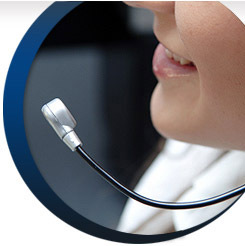 Comprehensive training of experienced operators before any live telephone answering takes place. All operators provide a very friendly and professional booking service, representing your organisation how you would yourself. Payments can be made using either your online system or our own secure process. Thermae Bath Spa has now been working successfully with The Carrier Group for many years. The good working relationship has undoubtedly contributed to helping us improve our levels of customer service. We have been particularly impressed by the commitment of the staff at The Carrier Group to understand our product offering and their ability to convey the right message at the first point of contact with our customers. If you'd like more information on our information and booking lines or phone answering service, please Contact Us or call Freephone 0800 198 1010.